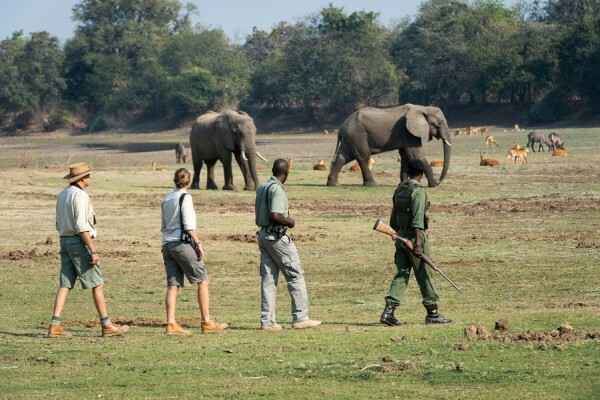 Non-stop animal action has been the norm recently in South Luangwa, Zambia. 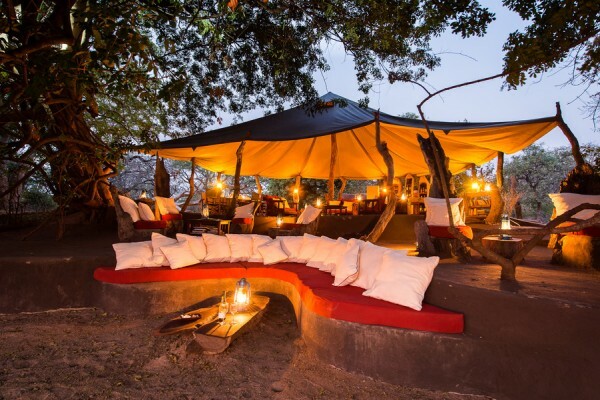 Robin Pope Safari’s intimate and charming flagship camp, Tena Tena has been the site for much of the excitement and guests there have been entertained with the best of bushveld antics and sightings. Emily reported back from the ground at Tena Tena describing some fascinating wildlife adaptation techniques noted of the resident hippos. She said that it’s slightly warm out there in the Luangwa and all the animals have been doing whatever they can to cool down. 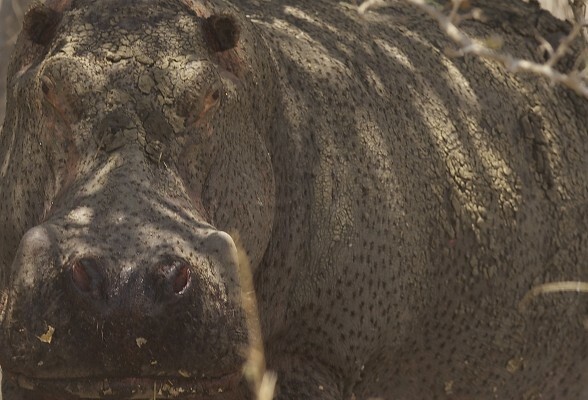 This rather sweaty hippo is seen taking in some shade just outside Tena Tena in this photo. Many other wonderful sightings have been ticked off guests’ lists in and around Tena Tena lately. Four buffalo have taken to chilling out in camp most afternoons, taking advantage of the shade. A hippo has also chosen the sandy car park as its evening relaxing spot. Guests have been treated to breakfast with a view on a few mornings lately with lions walking along the beach right in front of them. 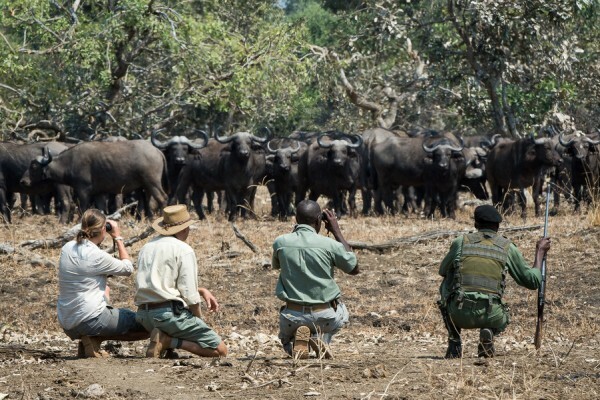 There’s never a dull moment in the Luangwa wilderness. A very rare and special event was witnessed by Tena Tena guests Susan and Fred Denenberg a couple of weeks ago too. 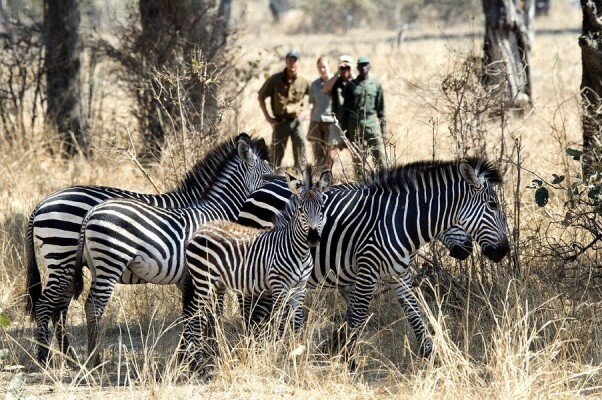 They were out on a game drive with guide Julius and were lucky enough to be part of a once in a lifetime experience. Driving along they saw a plump giraffe that looked rather uncomfortable so they found some shade, parked and watched her. 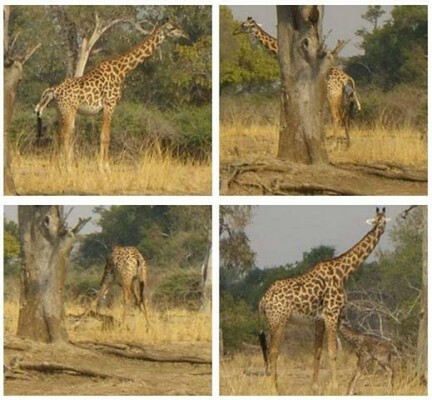 The female giraffe proceeded to give birth to a “small bundle of mostly legs,” as Emily aptly described it. Emily also commented that it is amazing that in just a matter of hours all those legs can be untangled and standing upright, ready to get going into the world. What a special sighting. Tena Tena is a tranquil and beautiful tented camp set in the heart of Luangwa’s wilderness, complete with all the comforts possible. Accommodation is in 6 tents including a honeymoon tent, hosting a total of 12 guests at a time. Each luxury tent boasts a private veranda and en-suite bathroom. See it for yourselves in our Tena Tena video here. It’s a wild and exhilarating way of life at Tena Tena, even if you just sit back in camp and watch the wilderness come to life around you.